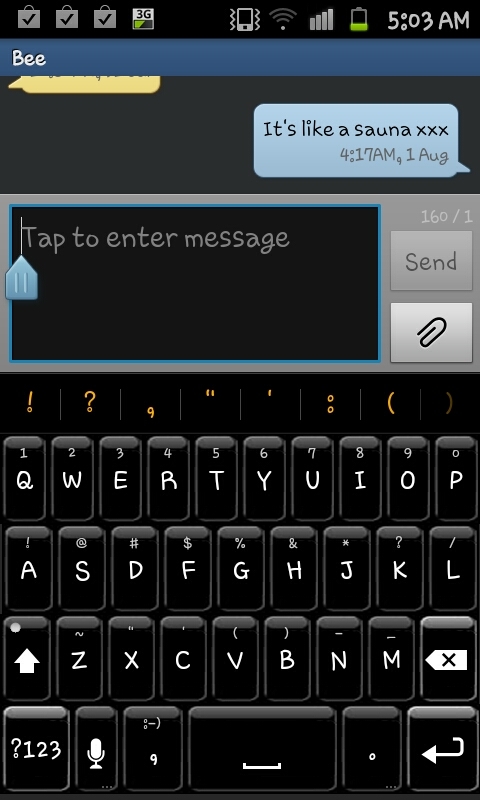 Despite personally loving "Swype" on my Samsung Galaxy S2 some people don't like "Swype" OR the default Samsung keyboard that you can find on the phone. 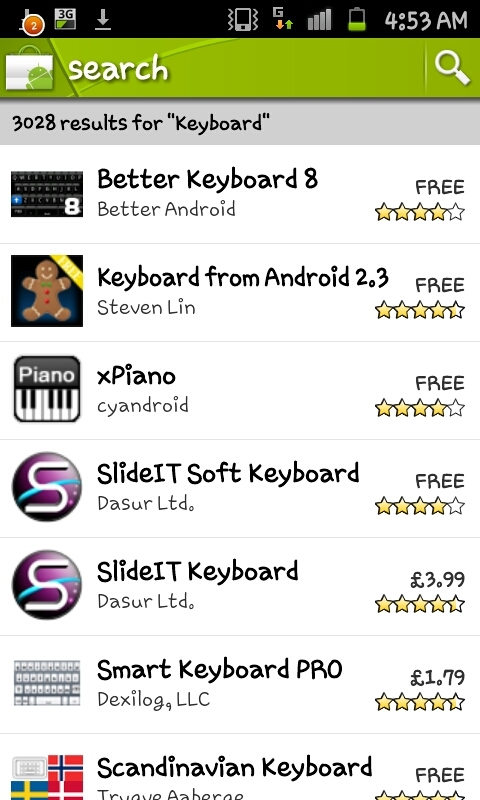 Hope however isn't lost for them thanks the Android market which features a number of alternative keyboards. This guide will teach you how to get an alternative keyboard and how to use it. 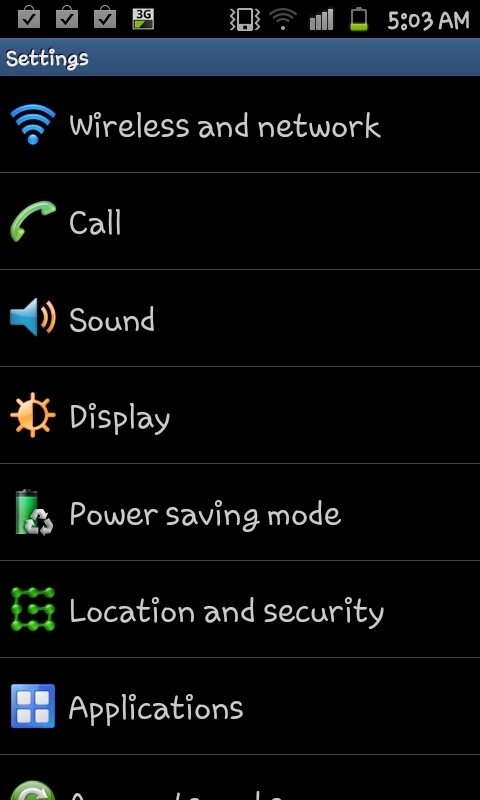 just do a general "Keyboard" search like I have done in the screen shot to the right. If you see one that you like give it a download, though personally, again, I'd stick to a few free ones (such as Better Keyboard 8 or Hacker Keyboard). down to "Language and keyboard". In the Language and keyboard screen you will need to scroll down to the "Keyboard settings" and place a tick next to the keyboard you want to use. You will then see a message on the screen like the one on the left here. This will pop up for ALL 3rd party keyboards. Although their may be some keyboards that do collect your data I don't personally know of one that does it (though feel free to check the major forums if you want some reassurance) then click OK.
box, such as an e-mail or a text message and hold your finger where the text box is. 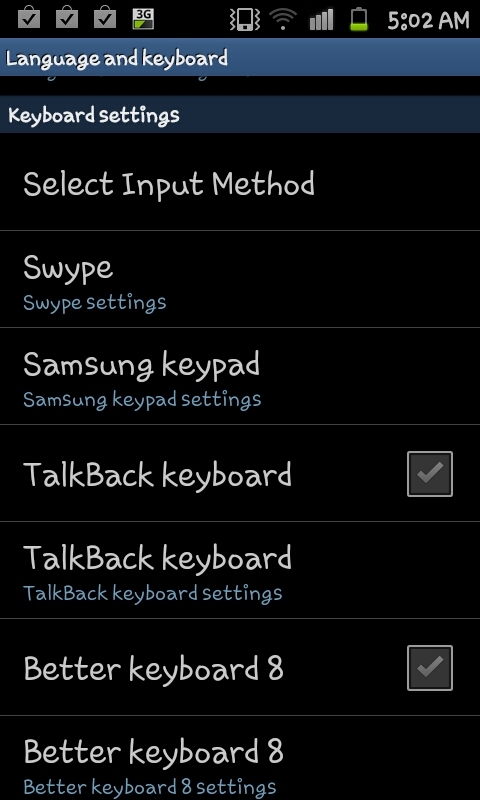 After you hold it for a few seconds you will be given two options "Paste" and "Input method", if you select "Input method" (as you would if you wanted to use Swype) you will be given a list of all the keyboards you've allowed as well as the default Samsung and Swype keyboards allowing you to select whichever keyboard you want. 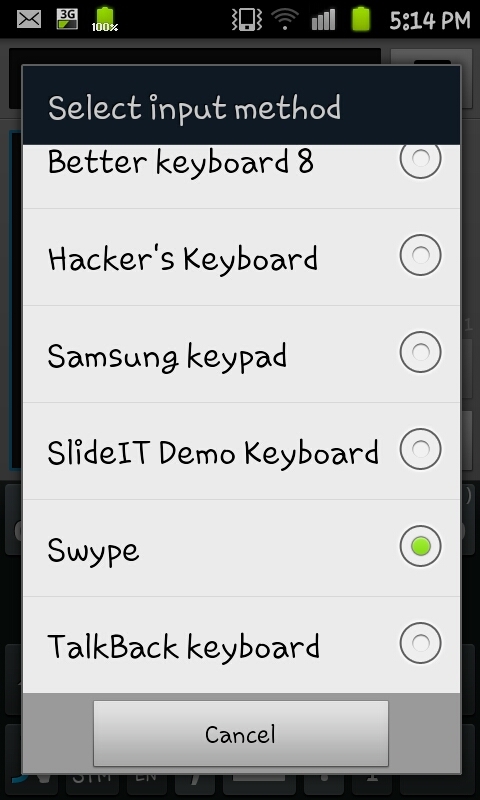 Whilst some keyboards are similar to others (SlideIT is very similar to Swype) some will add foreign characters and others will just feel more "Normal" to other people. 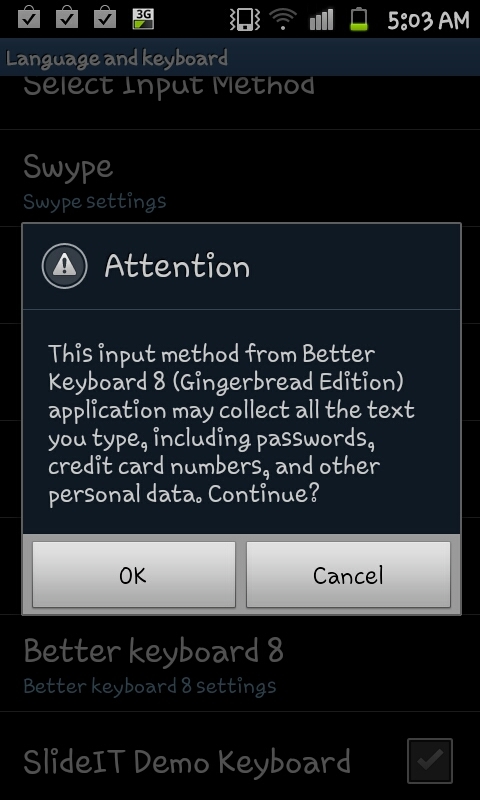 If you do want to try one I'd advise trying the very good "Better Keyboard 8" which you can see below. What if you are using a 3rd party Text Messaging App (in my case GO SMS PRO) and want to use the Swift Key keyboard and constantly have to reset the default. Do you have any suggestions?